Henna has been used for hundreds of years and is a natural plant dye. it is similar to a tattoo, but not permanent. Henna is completely natural, perfectly safe and painless. The henna paste is applied to the body by a henna, or mehndi, artist. 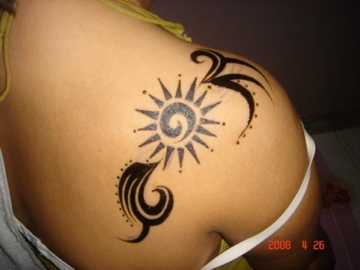 On skin, henna gives a temporary red-brown stain. Now available, is coloured henna which we are happy to offer. Mehndi is the Hindi word used to describe the art of henna. 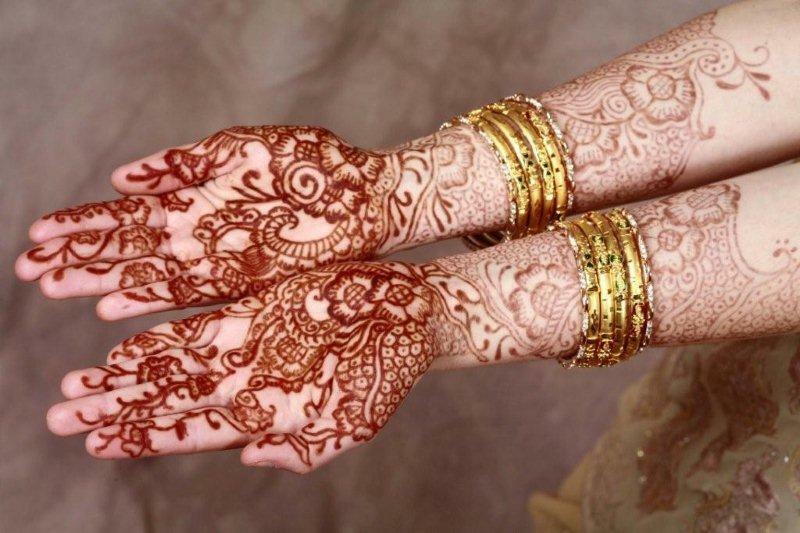 Traditionally henna is applied on the hands and feet and is used for formal occasions. 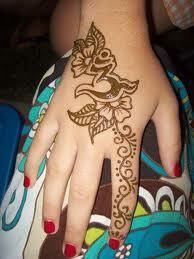 Today, henna is also used to temporarily decorate your body, as a form of self expression and body art. Our henna artist uses only high quality henna products. design, her contemporary and "pop culture" design is also now a part of our henna service. Reserve a Henna Artist for your event!